St Monica’s Senior Centre saw the modernisation of a 1917 heritage building. 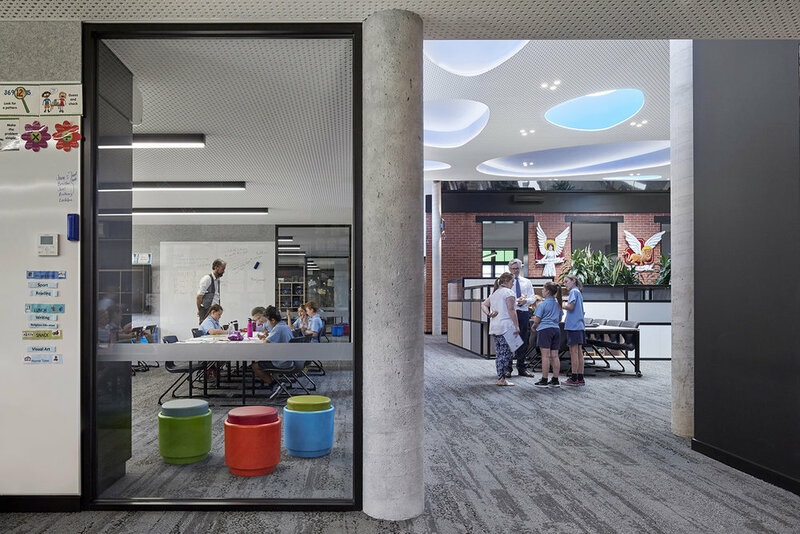 Our contextually driven design reconceptualised an underutilised courtyard into a central Modern Learning Environment which unifies six learning areas and a presentation space catering for over 150 Year 5 and 6 students. 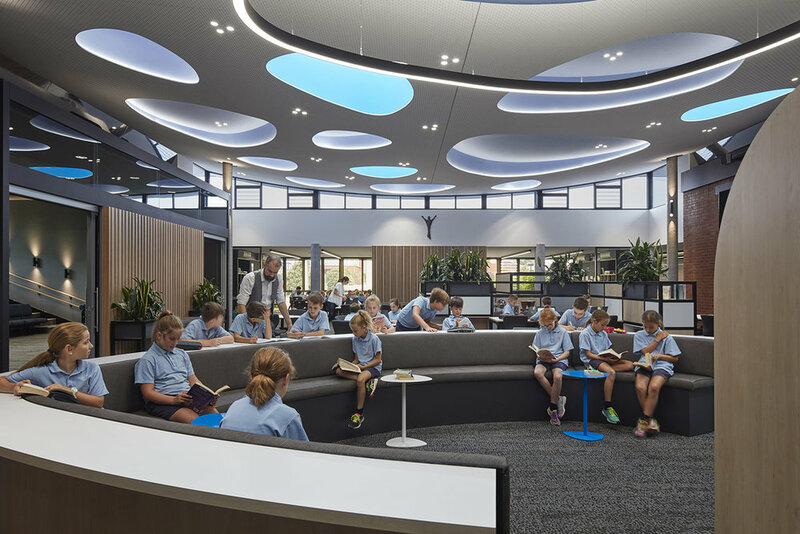 Our brief was to create a sophisticated and mature space for senior students transitioning to high school, while respecting and working within the heritage framework. 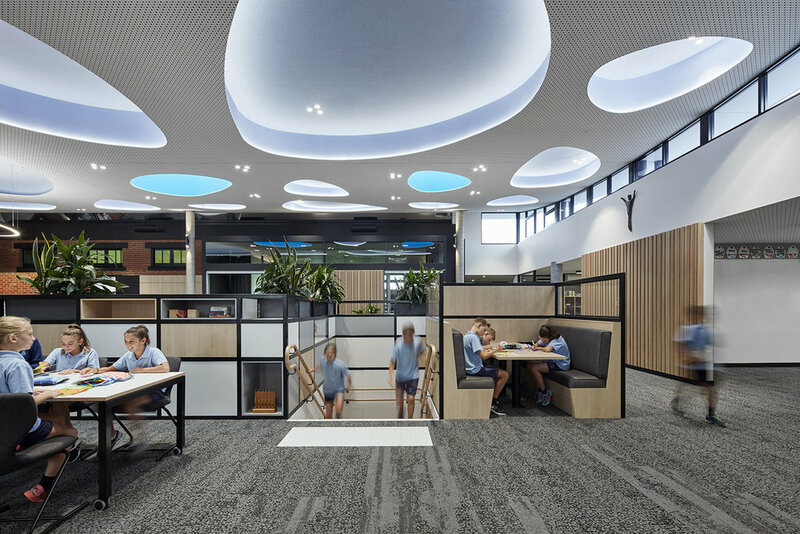 This was implemented through a restricted material palette, custom joinery and diverse learning opportunities. Critical to our thought process was maintaining the feeling of light and sky designing the ceiling to be a sculptural interpretation of this. Our ‘sky’ set as a gentle curve, linking two sides of the previous courtyard terminating in a mirrored horizon edge and eroded by repeating organic forms – the “pebbles.” This development ensures future growth and promotes a mature learning philosophy amongst its senior students.